7.30PM IN SEAL CHURCH - LET'S GET PLASTERED - ADMISSION IS £10 WITH TICKETS OR £12.50 ON THE DOOR. or tel 07977 487 277. SEAL VILLAGE HALL - 8PM - QUIZ NIGHT - £3 PER HEAD - TABLES OF 4. TEA OR COFFEE AT HALF TIME, PLEASE BRING YOUR OWN NIBBLES. PROCEEDS TO GO TOWARDS THE CONSIDERABLE EXPENSE ABOUT TO BE SPENT ON REPLACING THE HIGH STREET DOORS, AND UPDATING THE ELECTRICS INSIDE THE BUILDING. Who says nothing happens in Seal? Quite a diverse choice for May 10th! Do, please try and support one of these events, and get involved. Latest update from Know Your Neighbours. There is a lot going on in the village - check it out and come along! Further to the occupation of the Seal Recreation Ground, the Seal District Councillors and the Parish Clerk accompanied by 2 police officers went around all 24 caravans/campers to serve request to leave notices. Most were polite and there will be some repairs making good required and tidying up to do when they leave. The notice gives 24hrs notice and if they haven’t moved off the site legal proceedings will be taken. In the mean time the Parish Council advise not to go to the recreation ground. 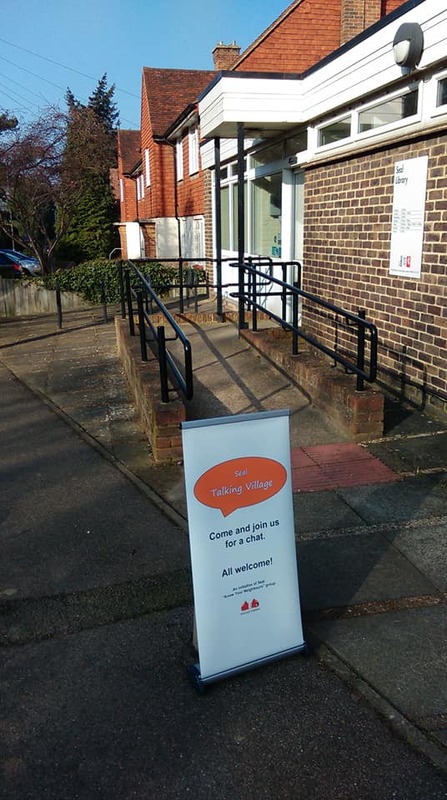 DO YOU USE YOUR COMMUNITY HALLS? HOW DO YOU USE THEM? HOW COULD YOU USE THEM DIFFERENTLY? Seal Parish Council are conducting a survey on the use of the local community halls - the Village Hall, the Pavilion and the Church Hall (the first two are run by the Parish Council, the third by the church) You can find the survey here. Please complete this if you can, particularly if you are not going to be able to visit the Village Hall on the bank holiday weekend of May 4th-6th, for the U3A Art Exhibition. This will be a very interesting activity anyway, but there will also be a chance to speak to some of your Parish Councillors, about our community hall facilities. On a different note, Seal Parish Council will be electing their officers on May 2nd. Please see their website for more information. On Thursday May 15th, you will also have the opportunity to meet and speak to your new Parish Council, at the Annual Parish Meeting, which will take place in Seal Pavilion at 7.30pm. The Council will be presenting its annual Community award, so please come along to congratulate this year's winner! OTHER EVENTS TAKING PLACE IN SEAL APRIL - MAY 2019. TICKETS £8 TO NON-RESIDENTS, TO INCLUDE A DRINK ON ARRIVAL AND GOODY BAG, AND ALL TREATMENTS PAYABLE TO THERAPISTS. PLEASE SEE FACEBOOK PAGE (SEAL PAMPER EVENING) FOR PRICES AND TREATMENTS AVAILABLE. PLEASE CONTACT ME ON 07909 905975 OR marionjgilchrist@gmail for tickets and to book appoointments for treatments. COME ALONG AND JOIN US FOR A DRINK IN OUR LOCAL PUB, AND LOOK AT WHERE WE ARE GOING IN OUR VILLAGE. WHAT WOULD YOU LIKE TO SEE HAPPENING? WHAT COULD YOU AND YOUR FRIENDS ORGANISE WITH OUR HELP? HOW DO YOU WANT TO SEE THE VILLAGE FUND BEING SPENT? PLEASE JOIN US! SATURDAY MAY 25TH - 1.30PM - SEAL HISTORY GROUP TOUR AROUND TENTERDEN. The 100 Club is now running at 47 participants, so gradually rising month on month. This will make for a healthy total to be spent on village projects, whether events, activities, or any other form of enhancement. Please let me know if you wish to purchase a number for £5 each month. We are still looking for a Treasurer for our Village Fund, so please be on the look out for any likely candidates. The 100 Club will run much more easily when people can set up standing orders if they wish to. The Spring Clean went really well on April 7th, with many of you, young and not so young, turned out in force to clear up our village. Many people have commented that this is something we might be able to repeat at more regular intervals, so that it isn't such an arduous task. Our Seal Talking Village goes from strength to strength, with the chance to meet up with others regularly, on Monday afternoons in Birch's (1.45-2.45), Thursday Mornings at Seal Tiddlers in the Church Hall (10am-midday), Friday mornings at Friday Group in the Church Hall (10am-midday) and Saturday mornings in Seal Library (10am-11am). A big 'Thank you' to our hosts at these events. IF YOU WOULD LIKE TICKETS FOR THE TRIP TO BROADSTAIRS ON AUGUST 16TH, PLEASE LET ME KNOW. I don't think there is anything else to report, but please get you information in to me so that we can put it out in these regular updates. Welcome to our update of village events and activities, for you to join in with, for this month. Monday April 1st - 7.30pm - Seal Village Hall The History Group have a talk from a representative of the National Trust, to talk about the History of Chartwell. Seal Village will be getting a Spring Clean, but we need you to join us to help. All ages welcome! This is to spruce up areas of the centre of the village needing attention. If you are aware of any 'hot spots', please let me know, and I will pass the information on to Matt, who is organising this project. HAVE YOU FORGOTTEN TO BUY A MOTHERS' DAY PRESENT? DON'T PANIC - BUY YOUR MUM A TICKET FOR THE NEXT EVENT! Know Your Neighbours will be holding their second Pamper Evening. Come along and enjoy the beautiful relaxing and luxury environment at Lavender Fields, and purchase one or more of the beautiful treatments on offer from local therapists, and nail technicians. The tickets are £8 to non-residents, and individual treatments will be booked in advance by contacting me, or there may be some appointments left on the night.Please e mail me marionjgilchrist@gmail.com or text 07909905975, to book your appointments. Come along and see their work displayed and learn more about U3A. THERE WILL ALSO BE PARISH COUNCILLORS AT THIS EVENT, TO LISTEN TO YOUR VIEWS ABOUT THE HALL FACILITIES WE HAVE IN OUR VILLAGE, HOW YOU USE THEM NOW, OR HOW YOU MIGHT USE THEM MORE, SHOULD THEY BE CHANGED IN ANY WAY. PLEASE COME ALONG AND HAVE YOUR SAY! ALL WELCOME TO COME AND SHARE YOUR IDEAS AROUND VILLAGE ACTIVITIES, AND DECIDE HOW WE MIGHT WISH TO SEE OUR 100 CLUB AND EVENTS MONIES SPENT. SEAL SCHOOL MAYFAIR. WATCH THIS SPACE FOR FURTHER INFORMATION. SATURDAY MAY 10TH EVENING - ST PETER AND ST PAUL CHURCH SEAL 'LET'S GET PLASTERED' - AN EVENING OF MUSIC AND FUN PUT ON BY DAN CLEWS AND STUDENTS. MORE INFO NEXT MONTH. Wednesday May 15th - Seal Parish Council Annual Parish Assembly in Seal Pavilion 7.30pm. Come along to meet your Parish Councillors, have a glass of wine and nibbles, and share ideas about your community. All are welcome. There will also be an award presented to a member of our parish in recognition of their contribution to the community over the past year. Please come and support this event. 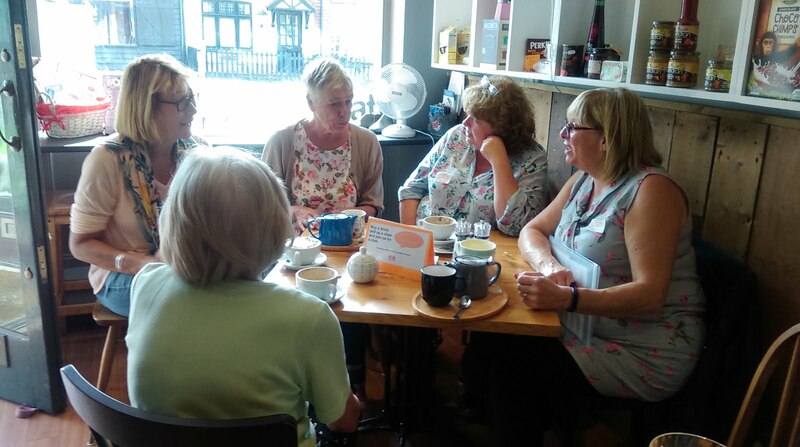 Seal Talking Village continues to meet every Monday 1.45-2.45 in Birch's, Thursdays 10-12 at Tiddlers, Seal Church Hall, Fridays at Friday Group, 10-12 Seal Church Hall, and every Saturday, 10-11am in Seal Library.Please pop along to any of these meeting places for a cuppa and a chat. The 100 Club has its next draw on Friday April 5th. If you wish to sign up, please contact me as above. I will publish the winning names and numbers in next month's Advertiser, and send out an added update nest weekend. Please join us for these events. 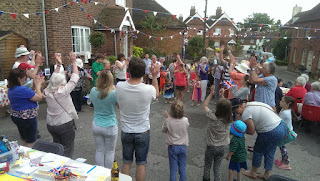 We need you if we are going to have any sort of community spirit in this village. By the way, a Treasurer is still needed to help manage our village fund. Please let us know of anybody who may be interested to take on this role. Babs Bartholomew will be leading three informal & gentle Lent Prayer Walks . The first will be between Seal church & Kemsing Well. The second will climb the Kemsing hillside to the cross of daffodils. The third may be in Hadlow: details to be confirmed. Meeting at the lych gate, St Peter's & St Paul's at 11.15am. Matt Brown, one of our Parish Councillors, is organizing a village spring clean on April 7th. This is the same day as the APCM, but he has kindly reorganized the start time to take account of this. A group will start at 12.30 from outside the church hall. Equipment and maps will be provided, and there will be refreshments for the workers in the church hall. Please consider helping, to show support for our local community. I hope you are all enjoying this wonderful, if a little eerie, spring weather. I seem to remember that this time last year, we were battling down the hatches in preparation for ‘The Beast From The East’. This year, the garden centres are heaving with optimistic gardeners, all risking tasks, not usually considered until well into March. Don’t you just love the diversity of our fine, British weather? Seal Church Hall on Friday March 1st at 11am. This will take place during the Friday Group session and all are welcome! (Agenda and SVA accounts can be found here). Please note, the evening meeting mentioned last month, will now take place a little later in spring,hopefully, in the Five Bells. (More details to follow). The first of our 100 Club draws will also take place on Friday March 1st at 11am in the Church Hall. All are welcome to join the residents and friends of Lavender Fields between 10am and midday for their Spring Fair, where there will be cakes, Easter gifts, a raffle, tea, coffee etc. Seal Church Hall - Midday to 2.30pm. Enjoy a simple lunch of homemade soups, bread and apple pudding for £5 per head. Proceeds to be shared between Christian Aid and the Church. All welcome. For tickets, please email marionjgilchrist@gmail.com. A talk on the history of Chartwell from a representative of The National Trust. For more information please contact the Chairman on 01732 762719 or Secretary on 01732 760013. Seal Know Your Neighbours Pamper Evening - Thursday April 25th - Lavender Fields - 7-10pm. A wide range of treatments will be available. Tickets and bookings for treatments will be available from mid March. Let’s Get Plastered - An evening of music with Dan Clews and his students, at St Peter and St Paul Church Seal - Friday May 10th. More details to follow next month. Coach Trip to Broadstairs During Their Famous Folk Week - Friday August August 16th. Tickets remain at £12 per adult and £8 per child. So, that is where we are so far this year. Please watch these updates for further information, and please remember, if you represent a local organisation, feel free to give me details of your events, to pass on to others. Talking Village on Monday afternoons in Birch’s, Thursday mornings at Tiddlers , Friday mornings at Friday Group and Saturday mornings in Seal Library. ( morning meetings from 10am and afternoons, 1.45-2.45). Friday Group at the Church Hall every Friday from 10-12. 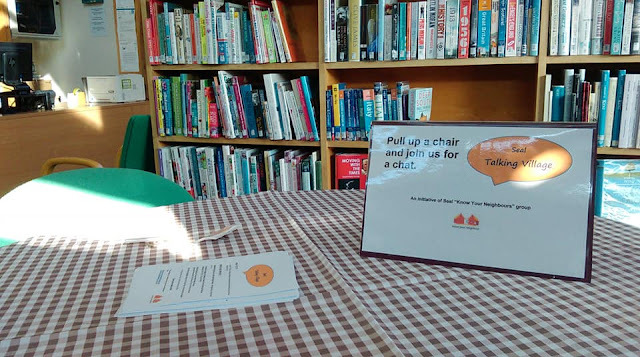 The Tea Set, Childrens Rhyme Time, Book Club and Childrens’ Craft Club in Seal Library. Various weekly yoga and Pilates classes in Seal Village Hall and Church Hall. 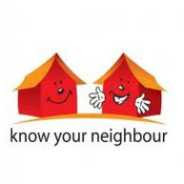 We still have numbers available for our Know Your Neighbours 100 Club. PLEASE NOTE, IF YOU HAVE NOT RECEIVED AN EMAIL ABOUT FEBRUARY’S PAYMENT, YOU ARE NOT SIGNED UP, THEREFORE, NOT IN THE DRAW. IF YOU WISH TO TAKE PART, PLEASE CONTACT ME ON marionjgilchrist@gmail.com. This month, we should have 30 numbers sold, which will mean £75 in prize money and £75 in the village fund. The draw will be made at Friday Group (which is open to all) on the first Friday of each month at 10.30am. The winners will be informed on the day of the draw, and their names and numbers will be published in the Local Advertiser and the KYN update, the following month. The proceeds from this will go toward projects to enhance the community of Seal in whatever ways you care to put forward for discussion. We are close to having the Village Directory of organisations and activities, complete, so hopefully, we will be able to put out next month. We look forward to seeing many of you at some of these events. We had a good morning at the second of our new Talking Village sessions at the Library, with a number of people joining us to chat over coffee and biscuits. 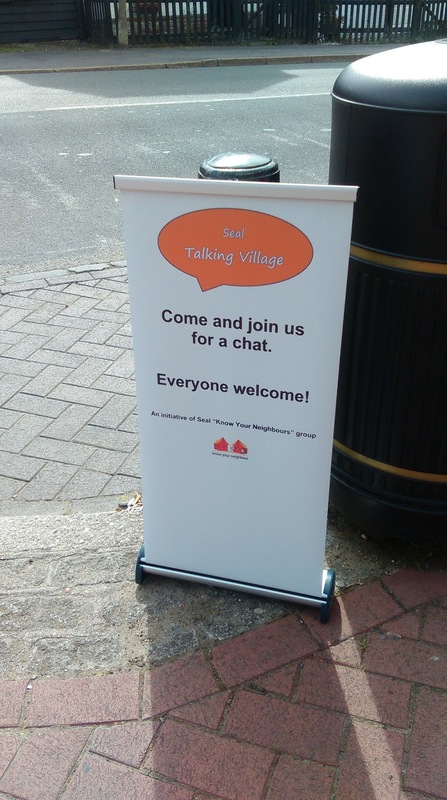 Our Next Talking Village is on Monday in Birch's cafe.